The aviation industry and Federal Aviation Administration (FAA) have issued critical warnings alerting all handlers of diesel exhaust fluid (DEF) to take every precaution to avoid the accidental injection of DEF into jet fuel instead of fuel system icing inhibitor (FSII)—also known as PRIST. Even small amounts of DEF into jet fuel will cause critical damage to an aircraft and must be avoided. Receiving fuel loads already blended with FSII (pre-blended). Some transport trailers are equipped with these injectors and are routinely filled by carrier/drivers as needed in the carrier’s terminal/yard. Fuel is blended while loading the transport at the supply terminal before arriving at the FBO. FBO injects FSII by utilizing injectors. FSII injectors can be used in different locations on the airport. Injecting into or out of storage equipment, or directly into aircraft from refuelers is common place. No matter where it is injected, a supply tank holding the FSII is utilized. The problem can occur when refilling these supply tanks. FSII storage drums can and do look very similar to DEF storage drums. Other products like oils and wing deicers also have similar looking drums. If the FBO employee mistakenly uses the wrong storage drum and fills the injector supply tank with the wrong fluid, it could have critical consequences to the aircraft’s operation. With these hazards in mind, Avfuel’s quality assurance department has been diligently notifying its partners on best practices, from haulers to FBOs and flight operators themselves. First and foremost, carriers should retrain all drivers and any employees that handle FSII to help mitigate this issue. Carriers should also isolate bulk FSII drums and totes by storing them away from DEF bulk supply or any other bulk liquids, such as antifreeze and oils. Drums can look notably similar or even identical to operators when labeling is not visible. Avfuel also urges carriers to put additional labeling on FSII drums; this will aid the operator in confirming he or she is using the correct product. Avfuel provided such labeling to its partner carriers. Finally, Avfuel suggests carriers initiate a simple inventory procedure. Carriers should keep a binder or clipboard at the bulk loading point and have the operator note: the amount pumped into the injector supply tank; the trailer/equipment number; the date; the driver’s/operator’s initials; and a signature. This simple procedure will make the driver/operator think twice before performing the bulking operation. First and foremost, retrain all employees that handle FSII or receive loads of pre-blended fuel to help mitigate this issue. Perform all QA tests on pre-blended loads upon receipt. Minimally perform visual and B-2 (FSII test). While it may not be visible in the white bucket because DEF will mix into the fuel, FSII tests resulting in very low to no FSII could indicate a mix-up of fluids. 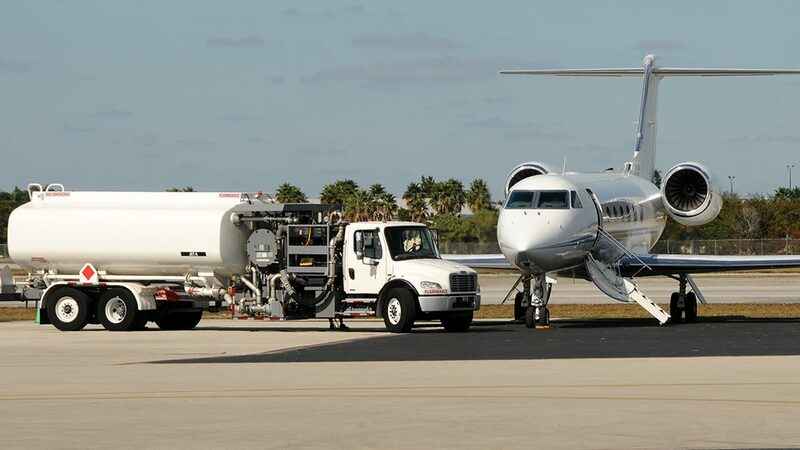 When any quality issue occurs, FBOs should always stop the receiving process, keep the transport delivery on site and call their fuel supplier for instructions (Avfuel customers should call the company’s quality assurance department). Isolate FSII drums and totes by storing them away from DEF supply or any other bulk liquids, such as antifreeze and oils. Drums can look notably similar or even identical to employees when labeling is not visible. Keep DEF in a locked area with access to supervisors only. Put additional labeling on FSII drums; this will aid employees in confirming they are using the correct product. Initiate a simple inventory procedure. Keep a binder or clipboard at the refueler loading point and have employees note: the amount pumped into the injector supply tank; the trailer/equipment number; the date; the employee’s initials; and a signature. This simple procedure will make employees think twice before performing the operation. Inquire on certifications. Avfuel suggest that before flight operators put an FBO on their flight plans, they consider what certifications the FBO has received and what type of training its employees complete. [could certainly plug American Aero here] Such certifications could include Avfuel’s online FAA-Approved Supervisory and Line Service Fuel Safety Training programs, Avfuel’s FAA Approved Part 139 Seminar, NATA Safety First training, or the FBO’s own training program. Flight operators can then, upon arrival, ask to see staff’s fuel quality training certificates to ensure those handling their aircraft are qualified. Flight operators can ask FBOs if they use DEF. If the FBO does use DEF, flight operators can further inquire as to where the DEF is stored to ensure it is kept safely separate from FSII. By putting into place safeguards to ensure fuel quality along the product’s life cycle, our industry can, together, stop any further dangerous fuel quality issues from arising. For additional information, or to handle questions or concerns, Avfuel encourages its partners reach out to its quality assurance department at 1-800-521-4106.